Internationally acclaimed as a virtuoso artist and devoted pedagogue, Ludwig Albert belongs with the absolute topflight and is known throughout the world as Belgian’s leading marimbist and as an important musical pioneer. He is also recognized as one of the most successful pedagogues of his generation. Showered with titles and positive reception by the press abroad, he performed in more than 30 countries concerts and master classes and has released fifteen albums containing primarily first recordings of masterworks, his own compositions, improvisations, arrangements and dedicated works displaying his versatile art. Is one of the leading European percussionists. His compositions are part of concert programs of renowned soloists and ensembles as well as percussion competitions. His collaborations with famous colleagues, his rich collection of recordings and his international concert activities introduced Croatian percussion music to the world. Since 1984 he leads the Croatian Radio Symphony orchestra percussion section and since 1990 Igor has organized international percussion events. Maestro Li, one of the few outstanding solo percussionists in the recent international music stage, win the world acclaim as an exceptional solo percussionist in the contemporary era by virtue of his extraordinary musicality of the percussion instruments as well as his unique demeanor. Performing percussion concerto repeatedly at “Pay Attention to Classical Music” - the most influential European classical music opinion program, recorded his percussion albums with renowned labels such as EMI and Teldec. He is the professor at the Central Conservatory of Music in Beijing from 2003 and Hochschule für Musik “Hanns-Eisler” in Berlin 2006. 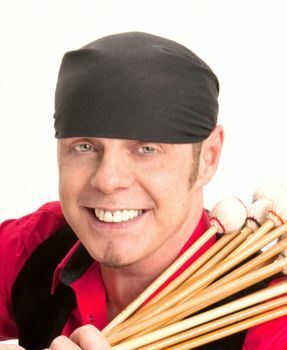 Having performed on four continents and more than forty states Michael Burritt is one of the World's leading percussion soloists. He is in frequent demand performing concert tours and master classes throughout the United States, Europe, Asia, Australia and Canada. Michael Burritt is currently Professor of Percussion and head of the department at The Eastman School of Music where is only the third person in the history of the school to hold this position. Prior to his appointment at Eastman Mr. Burritt was Professor of Percussion at Northwestern University from 1995-2008 where he developed a program of international distinction. Praised for her ‘mesmerizing combination of sound and sight’ (Irish Times), the award-winning marimbist, Eriko Daimo, is one of Japan's leading artists of her field. She has given recitals and master classes abroad in some of today's most recognized percussion festivals. She gained worldwide recognition being the 1st Prize winning Laureate of the Universal Marimba Competition 2004. It is a pleasure to witness her artistic growth and to welcome her again in Belgium. Is an internationally recognized marimba soloist, author and teacher. In her musical career of more than forty years, she has been a featured performer in concert, concerto performances, recitals, master classes, residencies, and clinics in venues throughout the United States, Europe, Central and South America, and Japan. (Belgium, °1964) studied musicology, communication and arts management at the University of Louvain, known as one of Europe’s oldest and prestigious universities. 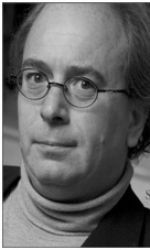 He worked for the Belgium National Classic Radio 3 (now called Klara) between 1987-1991 and was professor at the ‘Provinciale Hogeschool Limburg’ from 1992 till 1998. He’s a board member of several Cultural organizations and associations and is director of the Academic Hall since 1996 and director of the Cultural Centre de Bogaard since 2002. He's related as executive director at the Universal Marimba Competition since its foundation. Foo Pui-Yee has made her mark in the world as one of the Hong Kong's finest artist. Her performances across thirty states are hailed as "full of character and demonstrating a unique and beautiful style of playing". She collaborates continuously with distinct composers and has more than hundred world premiere. She is also the Artistic Director of the International Hong Kong Percussion Convention-festival and the jury president of the competition.